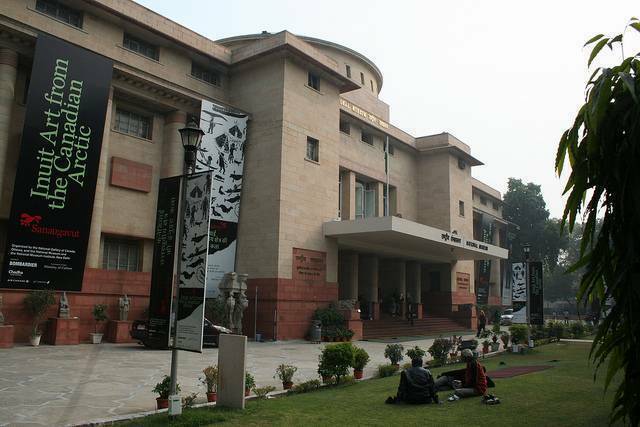 Sandwiched between Janpath and Maulana Azad Road, National Museum of Delhi was established in 1949. One can come across arts and artefacts ranging between pre historic era and modern times. There are over 200,000 artworks exhibited in National Museum of both Indian and International. The displays of National Museum cover 5000 years of the glorious heritage of different parts of World. Sections which are covered in Museum are Arts, Archaeology, Epigraphy, Tanjore Paintings, Miniatures, Manuscripts, Decorative Arts, Jewellery, Numismatics etc. The Dancing Girl and Mother Goddess Statue enthrall the viewers. You can come across Toy cart and various Bronze Toys excavated from Mohenjo-Daro. The National Museum remains closed on Mondays. Remains closed on Mondays. There is an extra fee to take camera inside the museum. Special ticket price of Rs. 1 for students with an identity card.